Quite a bit of preparation is required when planning someone's burial services. After all details are in place, a public announcement containing all pertinent information is usually made. 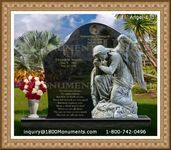 Formal funeral notices are the easiest way to let a large amount of people know of an individual's passing and how and where final respects may be paid. These announcements can be made as a newspaper submission, through emails or as actual invitations. The written format will usually follow one of two standard profiles. The first consists of only the basic facts regarding the who, where and when, while the second is a more personal tribute which is sometimes accompanied by a photograph and contains a brief biographical history. Certain key bits of information should always be included in this announcement. This is usually the complete name of the deceased, including any common nicknames, as well as the maiden name if the deceased was a married female. Their place of residence, surviving family members, date of passing and all details of the services are also among the basic facts to be listed. If services are to be for family only, this should be clearly noted in the announcement. When charitable donations are requested in lieu of flowers, that stipulation can be stated in this piece. 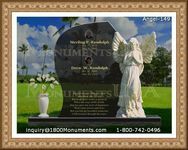 Funeral notices are more than just a formal way to let others know of a passing, they are a way to honor the dead.